Located at Pier 27 on San Francisco’s historic Embarcadero, the Port of San Francisco’s new James R. Herman Cruise Ship Terminal transformed a utilitarian warehousing and distribution site into a world class gateway and point of entry for travelers from around the world. Housing spaces for ticketing, baggage handling, security, and offices for the U.S. Departments of Homeland Security and Customs and Border Protection, the Cruise Ship Terminal reflects the values of San Francisco, meets international cruise terminal standards, and complies with regulatory requirements, including the Port’s commitment to the stewardship of waterfront historic resources within the Embarcadero Historic District. Making the terminal a scenic destination, a two-acre public plaza provides access to the water’s edge as required by the San Francisco Bay Conservation and Development Commission’s Special Area Plan for the San Francisco Waterfront. 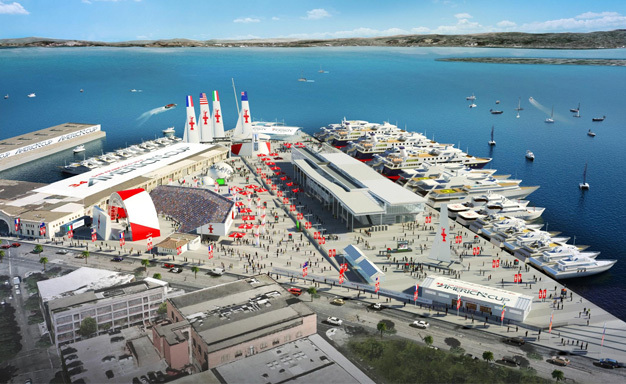 When not in use by cruise ships, the Cruise Ship Terminal Site acts as a special event space: in 2013, the site served as the event center for the America’s Cup yacht race.